Cool vapor thanks to a solid aluminum stem. Pure convection, your herb is bathed in hot air only when you inhale, not before, not after. 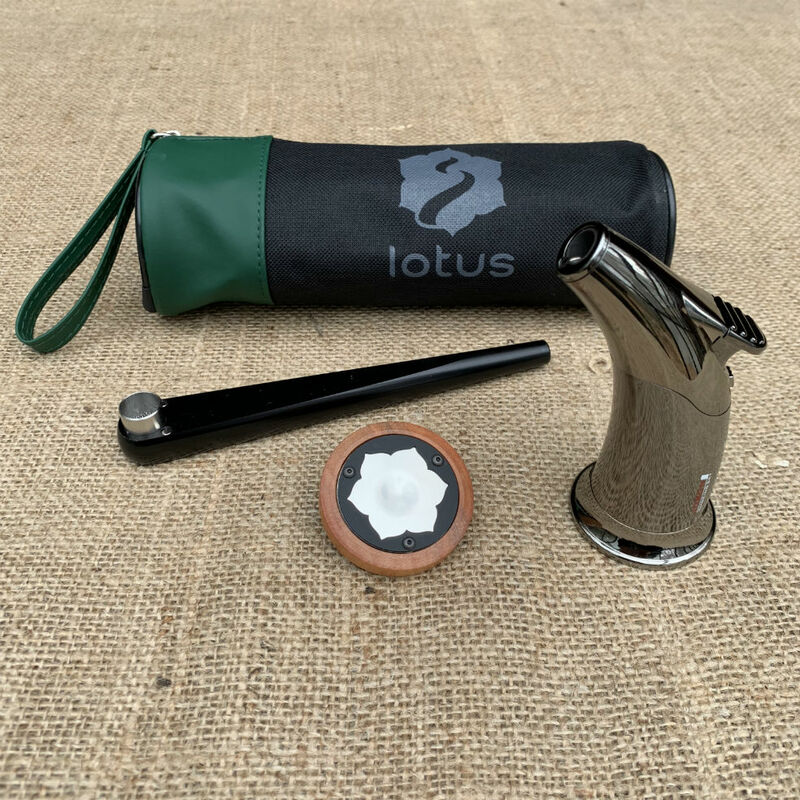 An attached stir stick is standard on every Lotus vapor cap. Use it to stir up your bowl. Magnets hold the maple vapor cap to the bowl. Easy on, easy off. 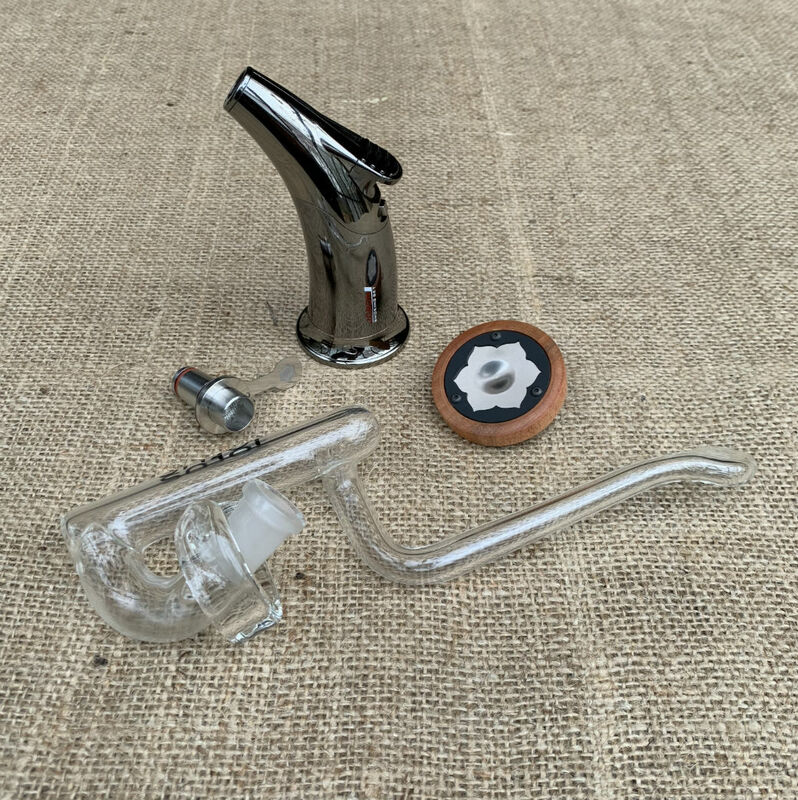 The pipe (aluminum stem and stainless steel bowl) can safely and easily be cleaned by soaking them in alcohol. 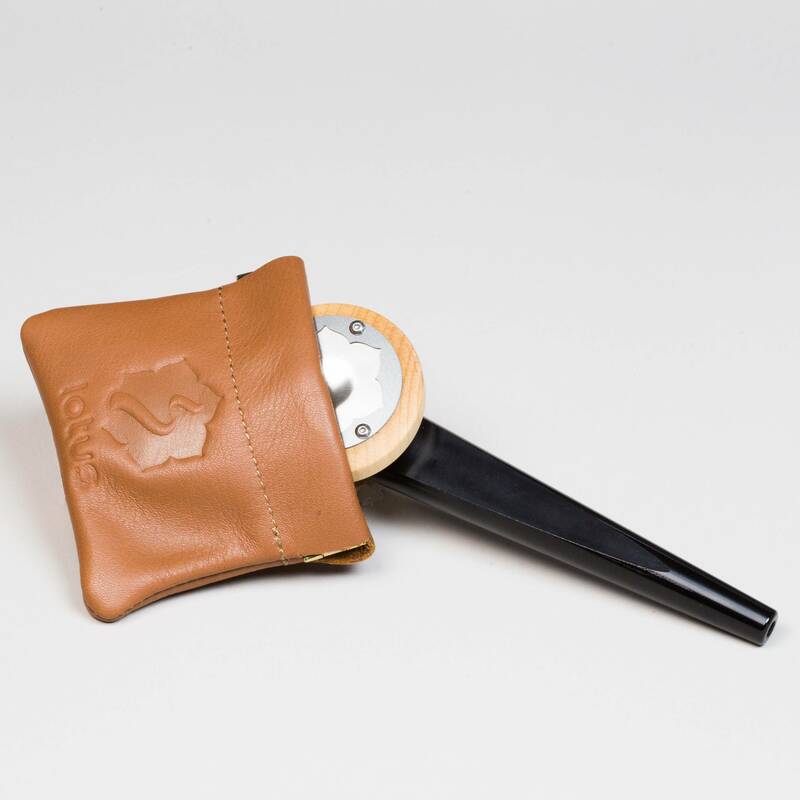 The Lotus Vaporizer is made and assembled in the USA and includes a one year guarantee. The hot plate is warrantied for one year and is easily replaceable. Designed by an MIT educated medical device engineer.